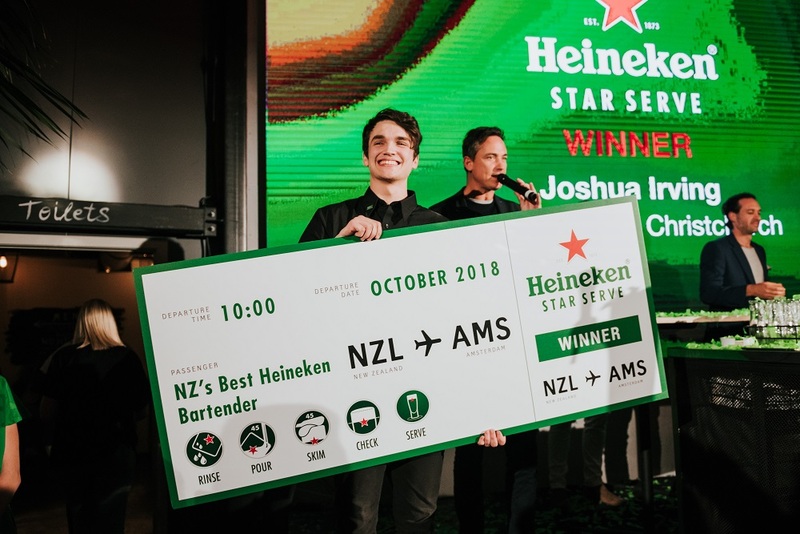 After a nationwide search, Joshua Irving from Morrell & Co bar in Christchurch has been awarded the title of New Zealand’s top Heineken bartender at the Heineken Star Serve Bartender Finals in Auckland’s Viaduct. Taylor Green, Heineken NZ marketing manager and competition judge, said that he was very impressed with the talent demonstrated in the competition. Irving was one of 16 semi-finalists in the competition, which challenged competitors from around the country to pour a perfect glass of Heineken draught beer, adhering to the 5 Star Serve steps – rinse, pour, skim, check and serve. 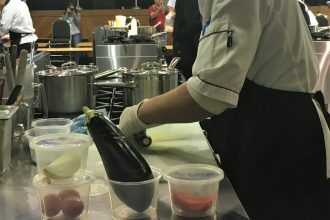 He will travel to Amsterdam, Netherlands, in October to represent New Zealand at the Heineken Star Serve Global Finals. “We take huge pride in the quality of our beer and the Heineken International Star Serve ritual ensures that bartenders from around the world deliver a premium Heineken draught beer every time, no matter where in the world you may be,” Green said. Irving was frank when asked what his secret was.